Day 8 on our advent calendar was the day that Ava was hanging out for. 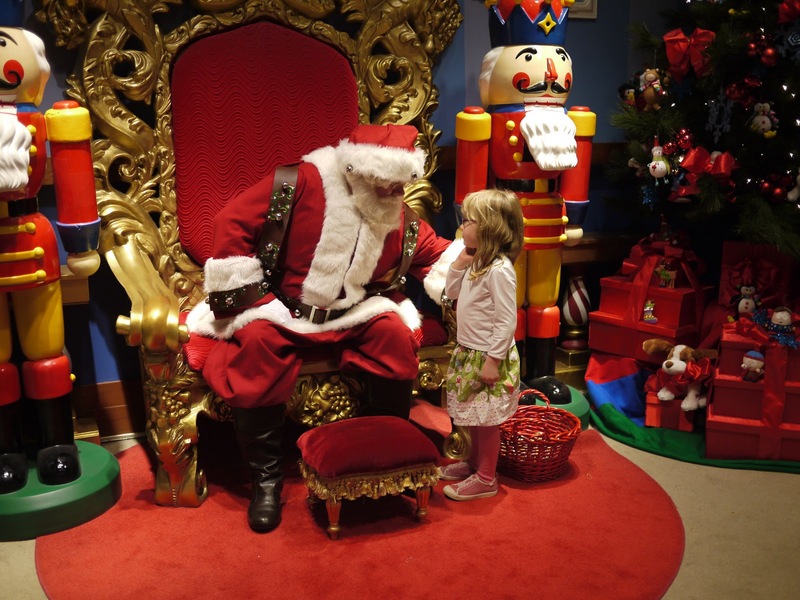 The day to visit Santa! Santa lives in Santa Land at Macy's here in San Francisco. After preschool on Friday the girls dressed in their Christmas skirts and we ventured into town. I had expected that it would be pretty busy even though it was a school day so I was very surprised when we arrived at Santa Land and there was no queue. Wait a minute... where's the 2 hour long queue that the Magic Cave perpetually has? 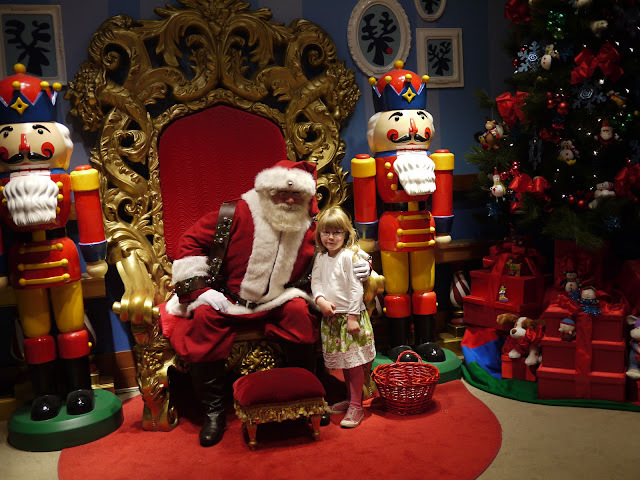 Arriving to find no queue for Santa was only the first pleasant surprise. 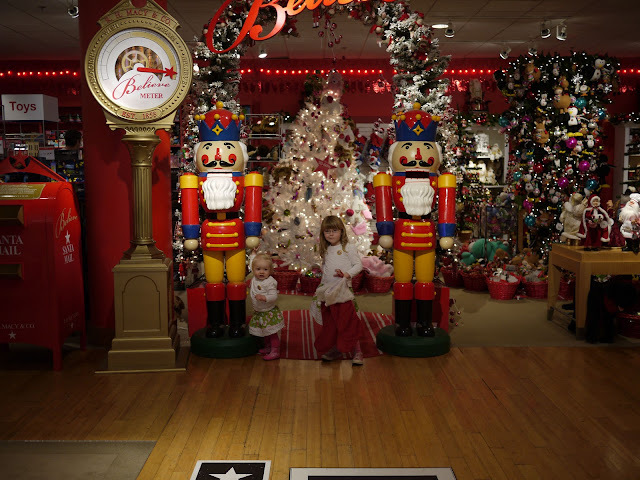 Before we went in I read through the photo packages available and got my purse out to pay for the cheapest one when the sales associate (I love that title) advised me that I didn't have to pay until after we saw Santa and were happy with the photos that they had taken for us. If we didn't like the photos we didn't have to buy any. Fantastic! The best surprise, however, came when we went in to visit Santa and I was told that I was allowed to take my own photos. Woo hoo! Take that Magic Cave. Santa Land wins! 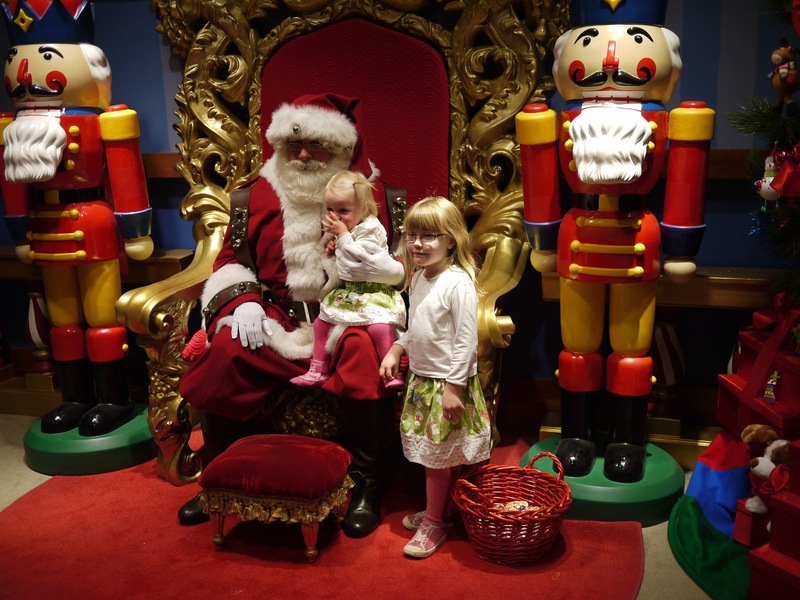 Now, when it came time to see Santa I had a feeling there might be mixed reactions from the girls. Ava was pretty excited to see Santa but was a little nervous to begin with. She was happy to talk to him though and asked for Squinkies for Christmas. No long list full of expensive gifts this year! Lola, on the other hand, was not eager to go anywhere near Santa. She was happy to stand back and look at him from a distance but would not budge when I tried to walk her over to him. When I carried Lola over and placed her on Santa's lap she absolutely bawled! Not a happy chappy at all. Get me away from this scary, bearded man! Now had this been the Magic Cave we would have just forked out $30.00 for a photo of Lola screaming on Santa's lap with her hand shoved in her mouth! Not so at Santa Land. We had a look at the photos and while there were some very nice ones of Ava and Santa, Lola was just a little too screamy. Had I not been allowed to take my own photos then I would have shelled out the money but I was quite pleased that this wasn't the case. We went back for another try a little later after Lola had calmed down (another point to Santa Land!) 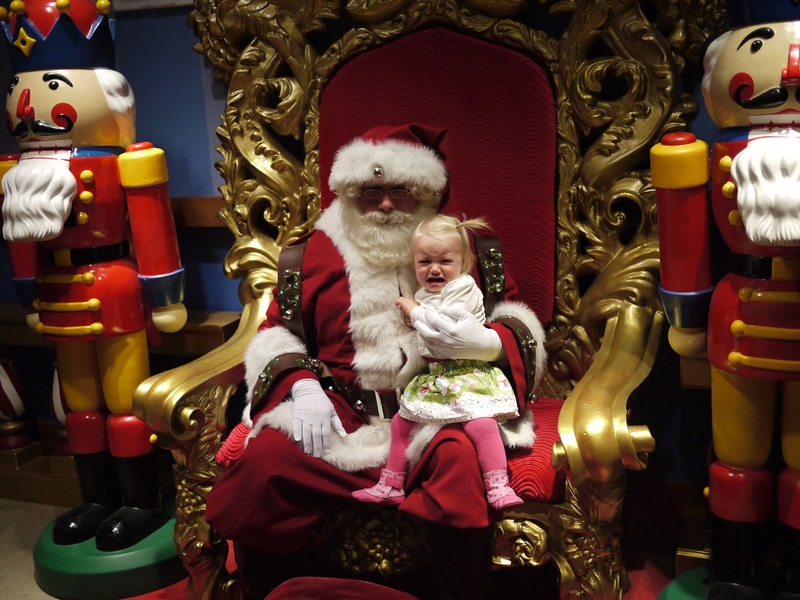 but her reaction upon seeing Santa up close was the same. Oh well, maybe next year.